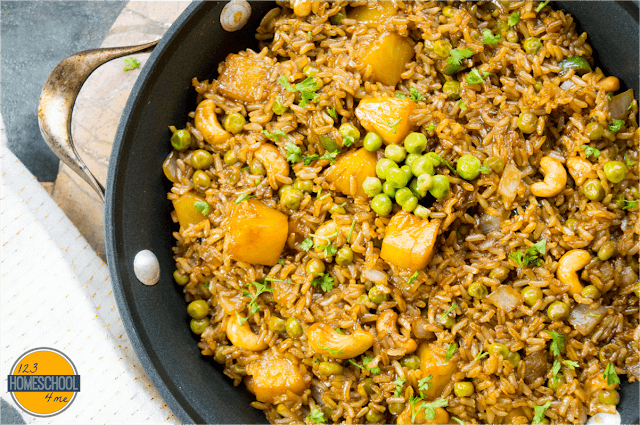 You are going to love this Out-of-this-World Pineapple Fried Rice! It is sure to be your new favorite comfort food. Heat coconut oil in a large skillet over high heat. 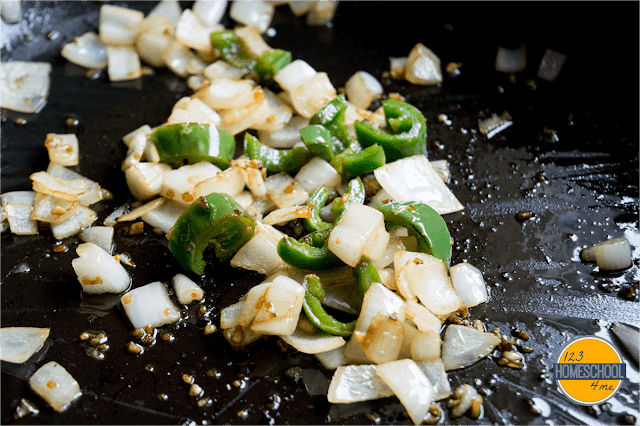 Add chopped onion, garlic, and Serrano Chile and stir fry for 4 minutes. 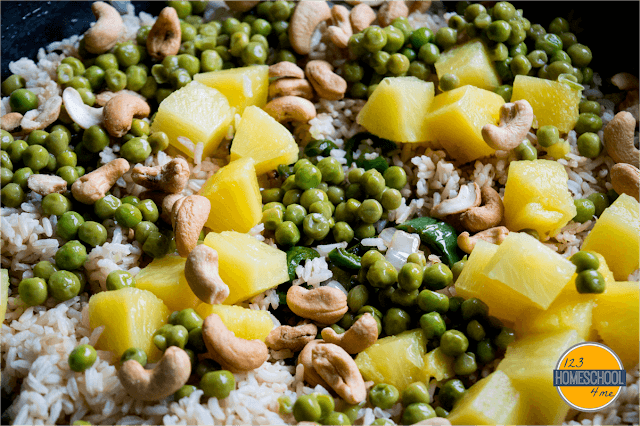 Add water, pineapple, peas, rice, and cashews and cook over medium heat for 4 minutes or until heated thoroughly. 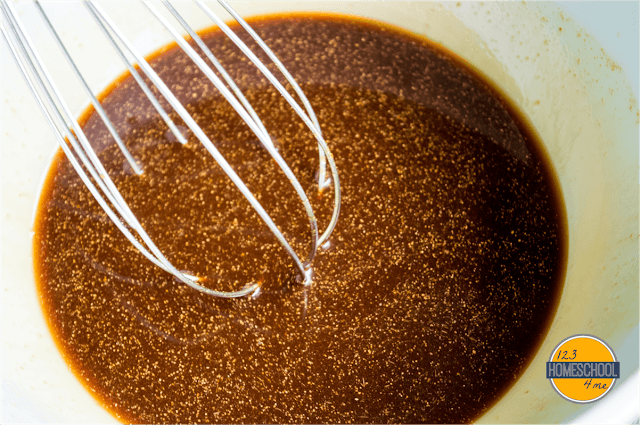 Whisk together soy sauce, vegetable stock, molasses, ginger, and arrowroot powder. Pour over rice and continue cooking over medium heat until thoroughly heated. Sauce will be thicken from arrowroot powder. 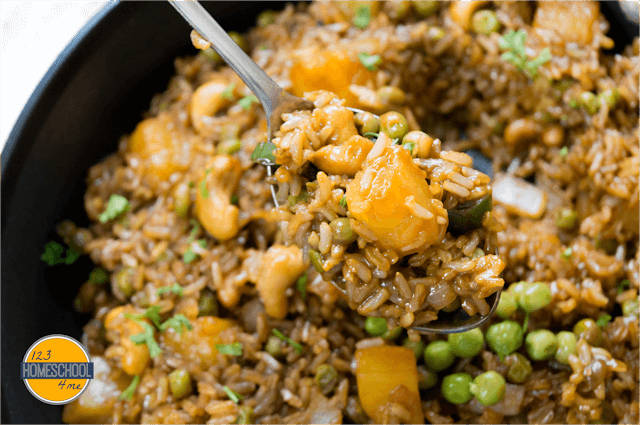 This is such an easy, flavorful, and healthy recipe that satisfies! 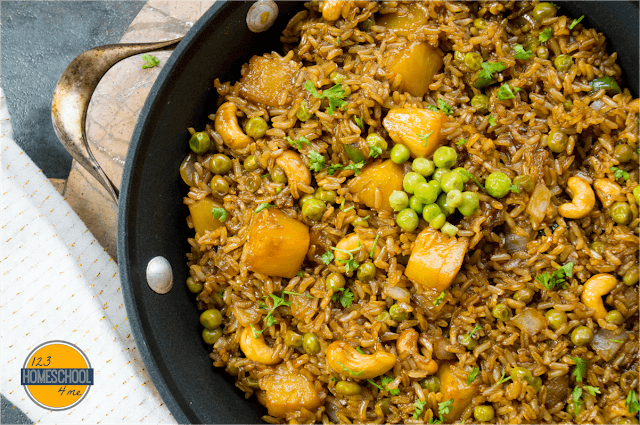 You will be amazed by the flavor in this good for you rice dish. This is such a unique side dish that is sure to become your new favorite, healthy, comfort food. Heat coconut oil in large skillet over high heat. Add onion, garlic, and chile and stir fry for 4 minutes. 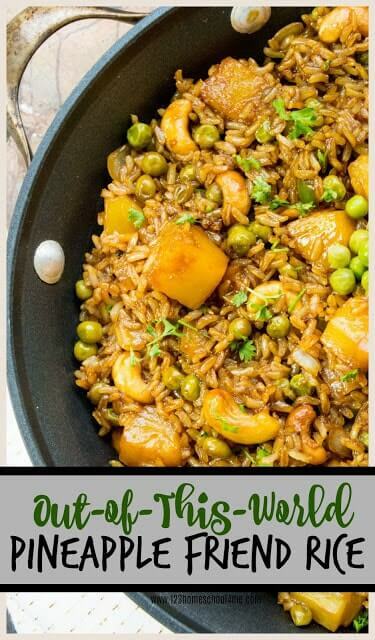 Add 2 tablespoons water and add pineapple, peas, rice, and cashews and cook over medium heat until heated thoroughly; about 4 minutes. Meanwhile, mix together the sauce and pour over rice and continue cooking until heated thoroughly. Serve warm or leftover in kids lunches cold.